UNESCO Director General Irina Bokova yesterday (9 June) praised the new strategy to put culture at the heart of EU international relations adopted on Wednesday, saying it represented “an important message to the world”. The scheme was adopted by the European Commission at a time when the intensity and the number of attacks against cultural heritage have increased significantly, particularly in the Middle East and Africa. According to the the Commission, cultural heritage is threatened by wars, looting and pillaging, “sometimes motivated by sectarian hatred”. “Looted artifacts are often sold and the revenues generated by these transactions can be used to support terrorist activities: this impoverishes the world’s cultural heritage,” the Commission paper says. Conversely, UNESCO has been the champion of defending world cultural heritage against destruction by Islamic State, Boko Haram and the Taliban. The executive says that the cultural dimension is part of the 9th of its 10 priorities, A Stronger Global Actor, although in fact the word “culture” doesn’t appear there. 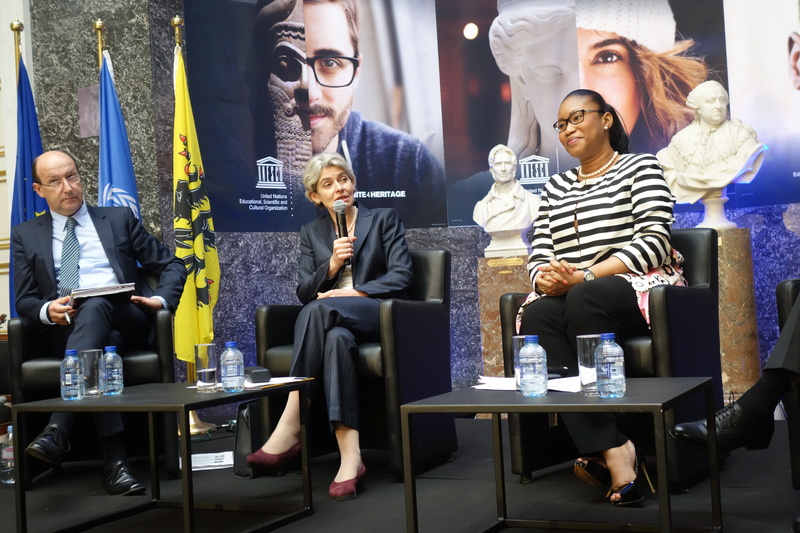 Speaking in Brussels at a conference organised by UNESCO and hosted by the government of Flanders, Bokova said she was happy that the EU recognises UNESCO as a partner in its strategy, and that the name of her organisation appears in the first paragraph. In reality however, the European Commission hasn’t sought many synergies with the UN organisation for education, science and culture, UNESCO, and has consistently given priority in recent years to UNICEF, another UN organisation, responsible for children’s rights. This apparently is due to “personal reasons”, EURACTIV was told. 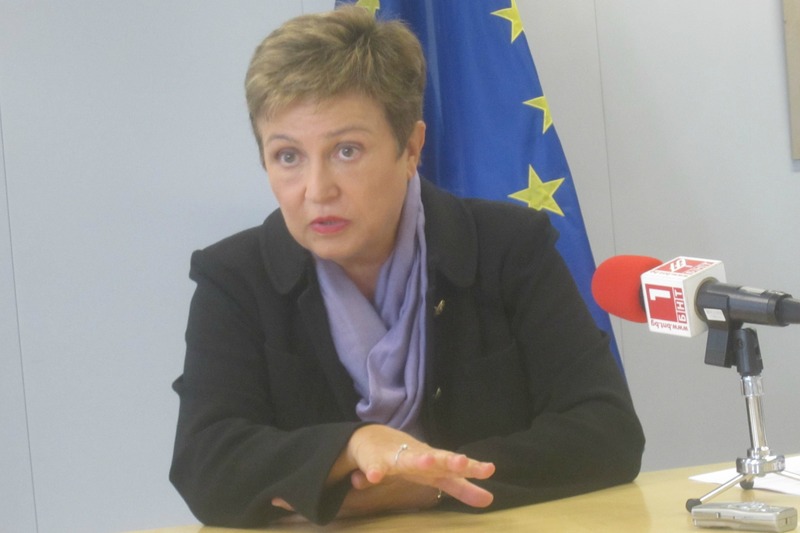 Vice-President Kristalina Georgieva attended a meeting of the secretive Bilderberg group in Dresden yesterday (9 June), where, according to information obtained by EURACTIV.com, former Commission President José Manuel Barroso promoted her as the next UN Secretary-General. Bokova took the example of her recent visit to Afghanistan to say that hard security measures were not enough, and that a sustainable peace process was possible only if young Afghans could learn their own history, and accept that their history represents many layers of culture. She praised the President of Afghanistan, Ashraf Ghani, who despite the difficult economic situation of the country, devoted funding for teaching young Afghans about the diversity of the country. Bokova also stressed the importance of considering the destruction of cultural heritage as a war crime and expressed her satisfaction that a few days ago a Malian jihadist became the first person to face trial before the International Criminal Court, for attacks on the World Heritage site of Timbuktu. 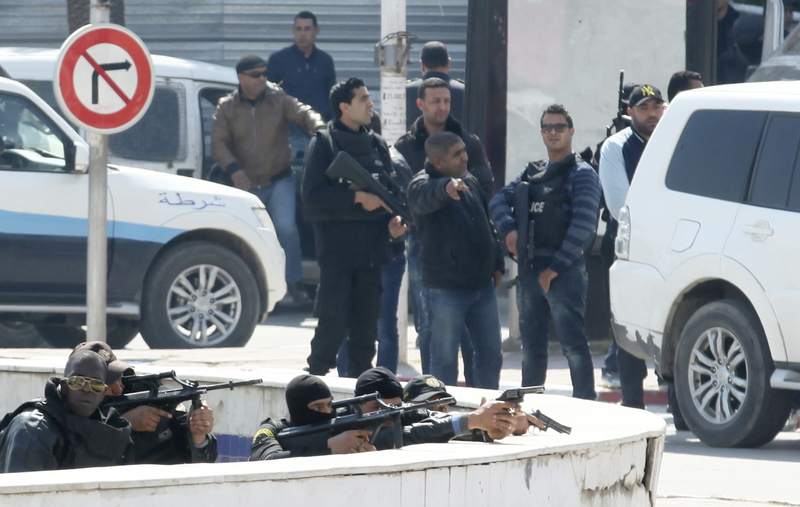 Reportedly, the jihadist has pleaded guilty. The Minister of Culture of Mali, N’Diaye Ramatoulaye Diallo, said that thanks to UNESCO and the involvement of strategic partners such as the EU, the destruction by jihadists of Timbuktu were now “a thing of the past”. The mausoleums are now completely reconstructed, she said, adding that this was a “unique response to terrorism, demonstrating that culture will always survive”. Addressing the conference in a video message, EU foreign affairs chief Federica Mogherini said the Commission supported UNESCO’s action to protect world cultural heritage as well as the Blue Helmets for Culture initiative, which was initiated by Italy and approved last year by UNESCO. 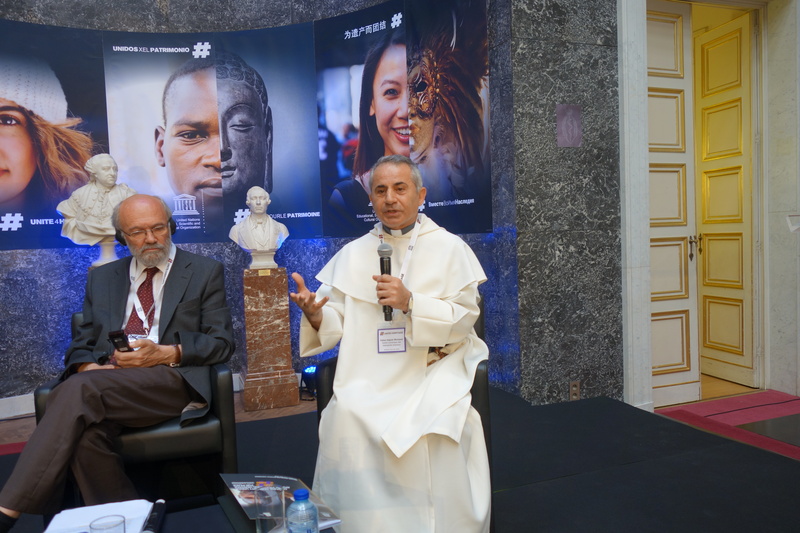 Father Najeeb Michaeel, who is Director of the Digital Centre for Oriental manuscripts of the Dominican Order, shared his personal experience from Iraq, of which he has been a lifelong resident, saying that only one of these years had been a year of peace. “The cradle of humanity has become the cradle of violence and extremism,” he said, adding that many years before Islamic State took power in vast parts of Iraq, he saw what was coming. “I saw the danger coming from the fundamentalist groups. Daesh are not extra-terrestrials, they are the result of accumulation of fundamentalist and fanatic Islamist movements who since Saddam Hussein were attacking churches and the culture,” he said. The Dominican Father said he had the idea to digitalise the ancient manuscripts, and to remove the originals from Mosul, taking them out with his own car to a safe place. The French Ambassador to UNESCO, Laurent Stefanini, argued in favour of setting up a “right of asylum” for cultural objects under threat. He praised the action of Father Najeeb Michaeel, who saved priceless manuscripts with his own car, but said this was needed to be done in a better organised way. Stefanini also advocated for setting up common databases for destroyed monuments, to help their reconstruction, as well as to reinforcing action against the smugglers of stolen artifacts. He also pleaded for setting up an international fund to help these activities.